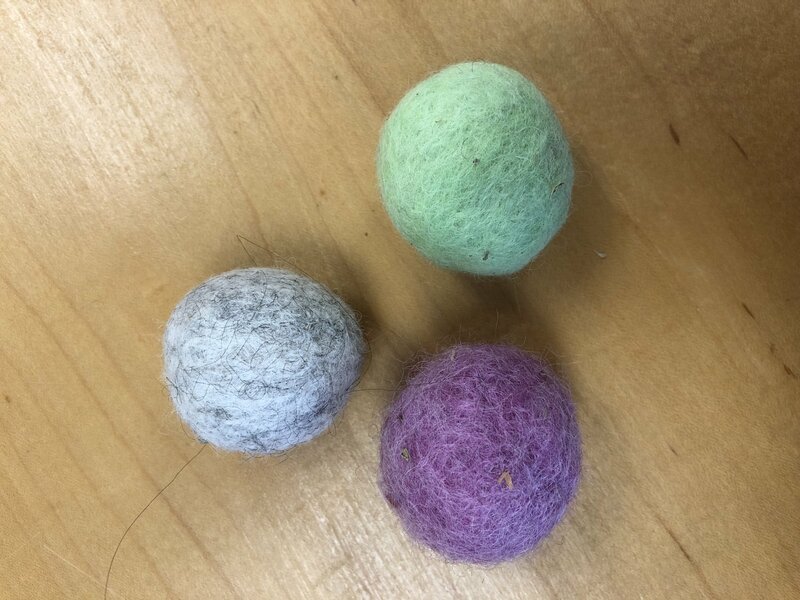 Hand made cat toys, sprinkled with organic Catnip. Felted wool with a bell inside. Each toy is approximately 1 1/2" in diameter. Colors vary. Allow us to choose for you, or call the store for details.